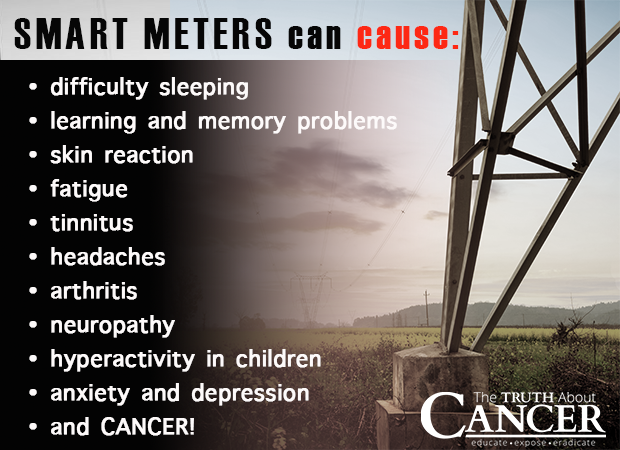 Home Autism Can Electric Smart Meters Be Detrimental To Your Health? Electric smart meter… Going on just the name, this sounds like something really cool, right? But just how “cool” are smart meters? Not cool at all actually. While the government and utility companies echo each other on how safe smart meters for electricity are − a growing number of some people are vehemently opposed to a smart meter being installed on their property. Nomi Davis is one of these people. She resides in Salt Spring Island, Vancouver, Canada, and took out a class action lawsuit against the British Columbia Hydro and Power Authority to demand freedom of choice for all of BC Hydro’s customers. Jennifer Stahl and Malia “Kim” Bendis, two mothers living in Naperville were arrested for trying to stop utility workers and local police from trespassing on their private property in order to install smart meters. Not just individual homeowners, but entire communities up and down the country and across the globe are up in arms because the electric smart meter roll-out is practically global. It’s quite simply a type of meter that can be used to measure your electric, gas, or water usage. That all? Not quite. Smart meters have earned the sobriquet “smart” because they send back information on your power consumption to the utility company. The utility companies argue that smart meters enable them to embrace the convenience of technology and the meter man no longer needs to come round to check your water, gas, or electricity consumption. The emission of EMFs is probably the most important issue. Why Are Smart Meter Dangerous? Typically, smart meters utilize a form of EMF called radio frequency (RF) radiation to send consumption data back to their main system. This RF radiation, or microwave radiation, is of a similar frequency to that used in cordless phones, cell phones, WiFi routers, and other wireless devices. Even though the smart meter is installed outside your house, this RF radiation can easily penetrate walls and your body too. Many smart meters emit radiation constantly. The utility company PG&E’s own documents reveal that their meters pulse 10,000 times a day. As a result, your body is constantly exposed to this radiation. On a daily basis, your cells go through a natural process of degeneration, production as well as division. When new cells are produced with damaged DNA molecules and continue to be replicated, health issues such as cancer and long-term gene mutation can occur. Not all smart meters utilize wireless means to send information back to the utility company. Some use powerline networking. This means that data is sent back on the same wiring line, instead of wirelessly. This creates dirty electricity, a form of electromagnetic pollution which is linked to a long list of diseases. Even if your smart meter does not use powerline networking it’s still very likely that you are being subjected to dirty electricity. This is because most smart meters use switched mode power supply technology in them, which creates dirty electricity. Daniel Hirsch, a lecturer and expert in nuclear policy at University of California, Santa Cruz, has studied smart meters. He found that given that smart meters operate 24/7,they emit 160 times more cumulative whole-body exposure than a cell phone. Call up your utility company to check if your meter has been changed to a smart meter. If that ends up fruitless, physically inspect your meter. If it has a digital display, it is most likely a smart meter. If there are dials, then you probably still have an analog meter. If in doubt take readings with a radio frequency (RF) meter. Or call in a building biologist or other qualified EMF consultant to take readings. If you discover you have a smart meter, contact your utility to opt-out. And contact a local electrician to install an analog meter. You can buy an analog meter on the Internet for under $40. But you may have to pay a monthly opt-out fee. The other option is to shield. If you can’t have your smart meter removed then several smart meter shielding options exist − some are more effective than others. My advice is to always test before and after with an RF meter to ensure that the shielding has been effective. Make sure that any correspondence with your utility company is done via registered mail. This way you will have a paper trail to fall back on should you need to. Now that you’ve protected yourself, you can move on to making a bigger impact on this matter. File complaints regarding the smart meter to bodies such as the Consumer Product Safety Commission, Consumer Reports, Special Litigation Section of the U.S. Department of Justice, EMR Policy Institute or to the FDA. Insert evidence you have collected previously to make a stronger case and urge many more in your local area to lodge complaints too. The larger the number, the louder the voice! If you would like to do more on a national scale, you can participate in movements like Take Back Your Power and Stop Smart Meters(just Google them to learn more). These offer a platform to get your voice heard alongside like-minded people who are opposed to smart meter installation. It is also for citizens to join together to have the freedom to choose whether they’d like a smart meter installed on their property or not. According to consulting engineer Rob States, the objectives of the Smart Grid Program can be achieved without using smart meters. Furthermore, many people claim higher utility bills since they’ve had a smart meter installed. More importantly, the long-term effects of smart meter radiation is a cause for concern. It’s up to you as an individual to take responsibility for your own health, as many people are finding out… living in proximity to a smart meter is not conducive with healthy living. Previous articleConiferous Trees: Can A Walk in The Woods Kill Cancer Cells? Next articleIs It Possible For Garlic To Serve As An Antibiotic?